Come uke out in Napa at Oxbow Market's sixth annual Uke-A-Palooza on July 29. The event, hosted by the market and Judd and Holly Finkelstein of Judd's Hill Winery, features Polynesian-inspired music, food and wine. It aims to be a fun, family-oriented night. The headlining musical act is Judd Finkelstein's Maikai Gents, a Napa-based band known for their renditions of classic Hawaiian songs. To complement the performances and food from Oxbow Market vendors, there will also be a raffle benefiting Voices of Napa. The nonprofit group helps young people in Napa County ages 16–24 transition from foster care into the wider community. The market will feature Polynesian specials as well as Hawaiian vintage wear for sale. 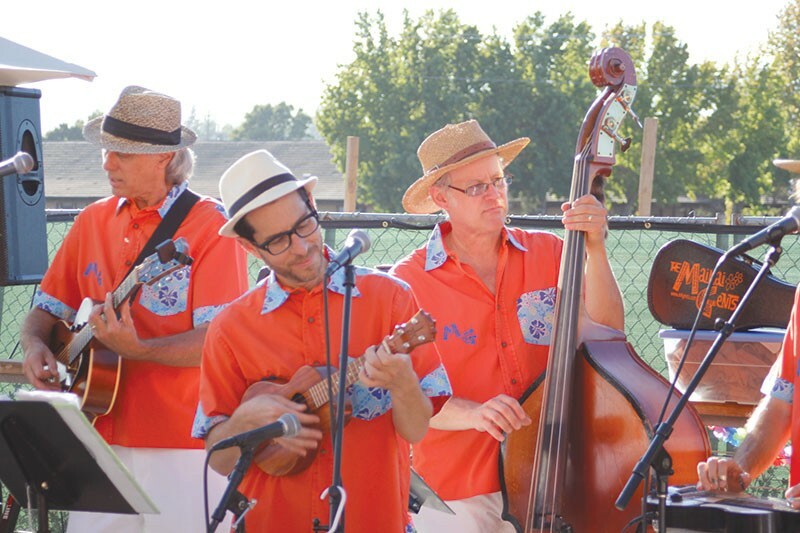 Uke-A-Palooza runs from 6pm to 9pm on Friday, July 29, at Oxbow Public Market in Napa. Admission is free.